KOSOVO – Several players, who are born in Kosovo, will act at the European Championship football in 2016. Although the country itself is not even an UEFA-member yet just since a while an UEFA member, Kosovo has enough reasons to cheer this summer, while watching Euro 2016. First of all, a couple of important players of Albania are born in Kosovo. And some who aren’t born in Kosovo, are originally from this region. 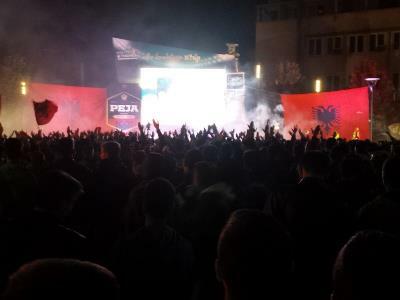 Last Sunday, Albania qualified for the first time in history for a big tournament. Reason enough for thousands of Kosovar youngsters to enter the streets and celebrate. But also Switzerland, a country with many Kosovars, has a couple of Kosovo-born players in their team. For example, Granit Xhaka and Xherdan Shaqiri, born in Gjilan. The brother of Xhaka, will play for Albania. There might be other countries, with Kosovo related football players, that will act this summer in France. But to be sure about this, we have to await the European playoffs.